This 4 bedroom villa is located in Protaras, just a 2 minute drive from the resort centre and the fabulous beaches of Protaras. 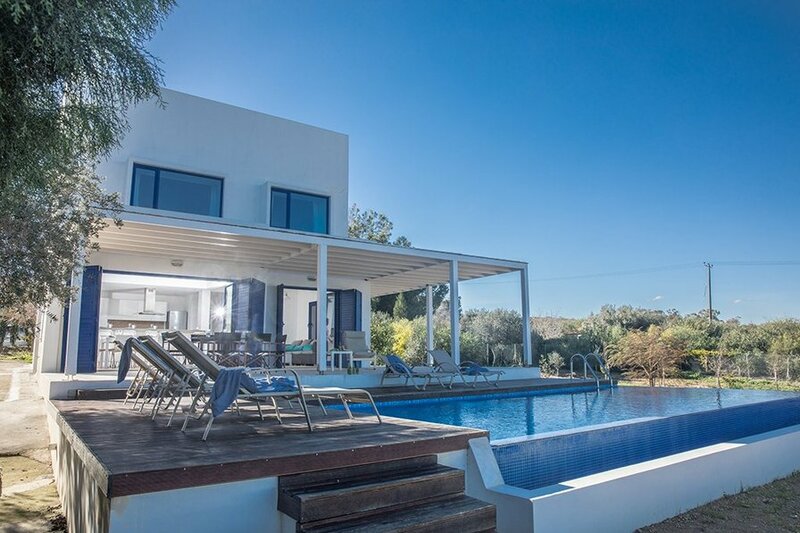 Set in a quiet hillside location with fabulous sea views, the villa is spacious, modern and furnished with everything required for a comfortable self-catering stay. The villa is ideal for large family groups looking to enjoy a relaxing and peaceful holiday. As you enter the villa, you will find an open plan living room, dining area and kitchen. The living room features a widescreen TV, Full Uk Satellite TV (including SKY) and a DVD player. The modern kitchen features a stylish island with a hob, extractor fan and breakfast seating for five people. It also has all the essential appliances including a fridge/freezer, microwave and an espresso coffee machine. The dining area seats 8 people. You will also find one of the bedrooms with a double bed, fitted wardrobes, bedside cabinets and a WC with shower on the ground floor. Upstairs are the remaining three bedrooms along with the family bathroom. The master bedroom has an en suite bathroom with a shower and WC, double bed, fitted wardrobes and bedside cabinets. The second bedroom also has a double bed and fitted wardrobes and bedside cabinets. The third bedroom has a bunk bed, fitted wardrobes and bedside cabinets. The family bathroom features a shower and WC. There is also the added luxury of the very large veranda with a seating area where you can relax and enjoy the stunning panoramic views.